Washable, high-sheen finish for use on a variety of interior and exterior surfaces. 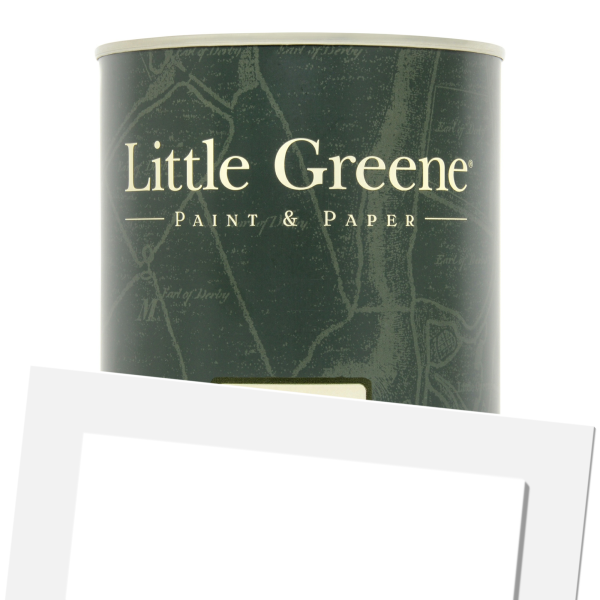 Little Greene Intelligent Gloss is a durable, high-sheen finish for use on a variety of interior and exterior surfaces. 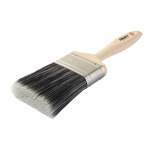 Suitable for use on woodwork, metal and plaster surfaces. 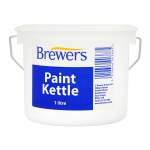 Ideal for areas that require frequent cleaning such as kitchens and bathrooms, provides a fully washable surface that is formulated to resist moisture, staining and general wear and tear and is a superb paint for woodwork and kitchen & bathroom walls. Environmentally friendly, low in VOCs and safe for use with Children's bedrooms and on toys. Application is by brush, roller or spray with coverage up to 14sq/m per litre. Touch dry in 1 hour and recoatable in 4 hours. 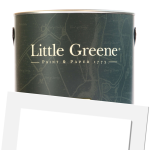 Little Greene Intelligent Gloss (Tinted) is available in 289 colours from the Little Greene Colour Cards. A high opacity, low odour, quick drying water based gloss finish displaying excellent adhesion to existing aged alkyd finishes. This product is highly recommended for painting radiators. kitchen & bathroom trim and walls. This product is suitable for both interior and exterior applications. Not recommended for painting previously painted lime or other natural plasters. New wood - For soft woods, knots should be sealed with knotting compound to prevent staining and then primed with Little Greene Traditional Oil Primer Undercoat or Little Greene Intelligent Primer Undercoat. Resinous hard woods require cleaning and treatment with Little Greene Aluminium Wood Primer (consult the relevant product data sheets for further details) prior to undercoating. Existing paint finish - Remove all loose and flaking paintwork. Degrease with a suitable detergent solution, such as sugar soap, followed by clean water rinse. Rub down thoroughly with a medium grade sand paper to provide a key and a defect free smooth surface, “feathering in” areas where paint has been removed. Make good any repairs, sand and apply primer to exposed surface as appropriate. Plastics - For long term performance, clean & lightly sand down surfaces. Prime using a proprietary adhesion promoting plastics primer before applying the finishing coat. New plaster walls - For plaster skim, allow at least four weeks for the plaster to thoroughly dry. Prime walls with Little Greene Wall Primer Sealer. Finish by applying two full coats of Little Greene Intelligent Gloss. Existing plaster walls - Lightly wash any existing paint work to remove any dust or surface laitance. Apply a primer coat of Little Greene Wall Primer Sealer by thinning with a 0 to 25% (v/v) addition of clean water, depending upon the porosity of the substrate. Finish by applying at least one full coat, as required.